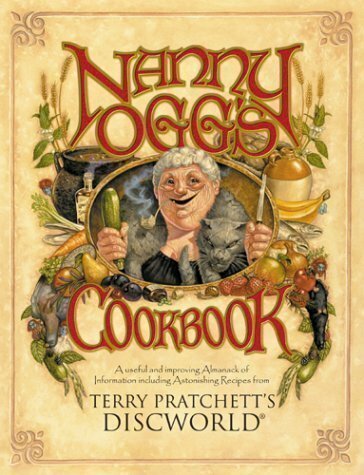 Nanny Ogg, one of Discworld's most famous witches, is passing on some of her huge collection of tasty and above all interesting recipes, since everyone else is doing it. But in addition to the delights of the Strawberry Wobbler and Nobby's Mum's Distressed Pudding, Mrs Ogg imparts her thoughts on life, death, etiquette ('If you go to other people's funerals they'll be sure to come to yours'), courtship, children and weddings, all in a refined style that should not offend the most delicate of sensibilities. Well, not much. Most of the recipes have been tried out on people who are still alive.